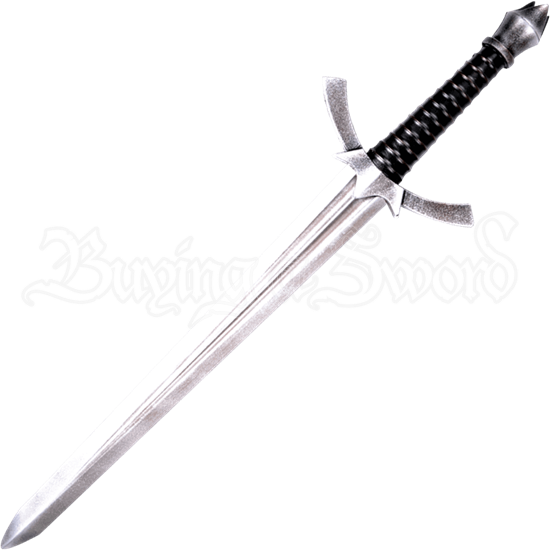 A magnificent weapon for those who enjoy LARPing and the epic tales of Middle Earth, the Morgul LARP Dagger of the Nazgul lets you wield the most heinous weapon of Mordor and embody the terrifying persona of a Nazgul. Modeled directly from the prop weapons used on the set of The Hobbit film, this LARP dagger is hand painted to capture the exceptional detailing seen in the film version of this blade. Its pommel is shaped with three triangular panels, resembling a crown and it has a downturned guard which comfortably protects your hands. Allowing for its use in LARP battles, this dagger features an outer mold injected latex layer around a durable fiberglass core. Show your support for Mordor and deliver venomous strikes to your foes with the Morgul LARP Dagger of the Nazgul.